Illustrates the attacks on U.S. ships, planes and military bases in Hawaii, the Philippines and Pacific islands - and America's response to them. 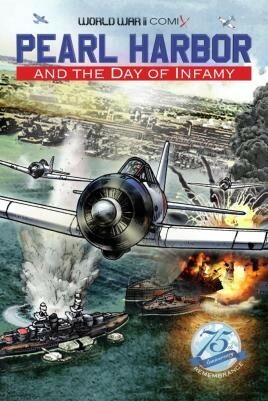 Starting with the background of Japan's rise to military prominence and the Asian country's aggressive behavior against its neighbors, this graphic history covers all the significant events leading up to that fateful aerial attack on December 7, 1941. Japan's simultaneous surprise attacks in the Philippines and elsewhere in Asia and the Pacific are included, as is America's reaction to the bombing of Hawaii. Also includes the introduction to a serialized adventure graphic novel set during the War in the Pacific entitled Separated by War.